This was born out of a series of multi-layered Sunburst paintings relating to The Big Bang Theory of The Pure Energy as in The Creation and Origin of the Universe. 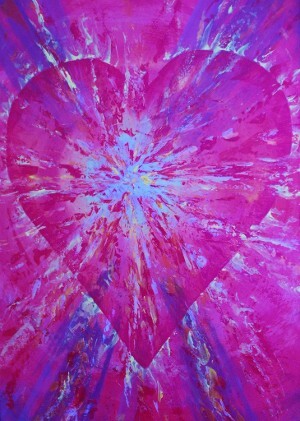 The artistic abstract creations portraying the extreme Energy unleashed as the Universe began. This series is receiving worldwide attention as the image chosen for "HEARTS on FIRE" Fundraising campaign for Orphans through The Stars Foundation for World Orphans Day. 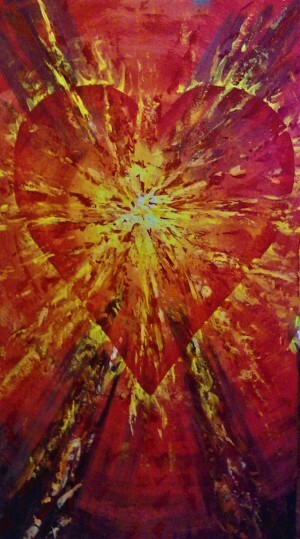 One rendition of The Hearts on Fire series appeared in JET SET MAGAZINE's articles on the amazing Heart by Ray Florio. 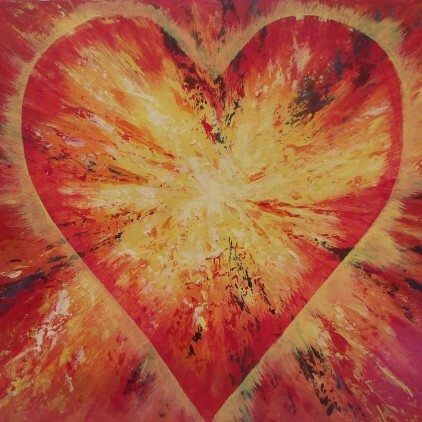 THE ORIGINAL ARTWORK “HEARTS ON FIRE” BY KHAMIS WILL BEGIN TO PULSATE AS YOU GAZE UPON IT AND REPEAT SLOWLY “RED RED RED” “YELLOW YELLOW YELLOW” “BLUE BLUE BLUE” AND OBSERVE THE HEARTWORK BEATING. THIS AMAZING PHENOMENON I DISCOVERED WHILE DOING MY PRAYER AND MEDITATION.